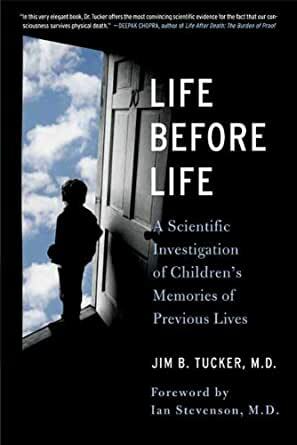 Life Before Life: A Scientific Investigation of Children's Memories of Previous Lives - Kindle edition by Jim B. Tucker, M.D. Stevenson Ian . Religion & Spirituality Kindle eBooks @ Amazon.com. For the past forty years, doctors at the University of Virginia Medical Center have conducted research into young children's reports of past-life memories. Dr. Ian Stevenson, the founder of this work, has always written for a scientific audience. Now, in this provocative and fascinating book, Dr. Jim B. Tucker, a child psychiatrist who currently directs the research, shares these studies with the general public. Life Before Life is a landmark work—one that has the potential to challenge and ultimately change our understandings about life and death. Children who report past-life memories typically begin talking spontaneously about a previous life when they are two to three years old. Some talk about the life of a deceased family member, while others describe the life of a stranger. They may recount details about previous family members, events in the previous life, or the way they died in that life. The children tend to show a strong emotional involvement with the apparent memories and often cry to be taken to the previous family. In many cases, parents have taken their children to the places they named, where they found that an individual had died whose life matched the details given by the child. During the visits, some children have recognized family members or friends from that individual's life. Many children have had birthmarks that matched wounds on the body of the deceased individual. Researchers have studied more than 2500 such cases, and their careful investigations have produced an impressive body of work. JAMA, the Journal of the American Medical Association, stated in a review of one of Dr. Stevenson's scientific books that, "in regard to reincarnation he has painstakingly and unemotionally collected a detailed series of cases . . . in which the evidence is difficult to explain on any other grounds." Life Before Life explores the various features of this world-wide phenomenon, describing numerous cases along the way. We meet a boy in Michigan who, after being born with three birthmarks that matched wounds on his deceased brother, begins talking about events from the brother's life; a boy in Turkey who gives a number of accurate details, including the name, of a man who lived 500 miles away and died fifty years before the boy was born; and a girl in Sri Lanka who is able to recognize the family members of a deceased stranger as they are presented to her one by one, giving specifics about their lives that she could not have known from their appearance. I was mostly interested in the stories of the children and their memories. An introduction explaining the data collection methods is appropriate and was included. Roughly, 80 percent of the book was the author's analysis of just a handful of cases. Also, the author presented some questionable information as facts. Overall well written, but not what I was looking for. 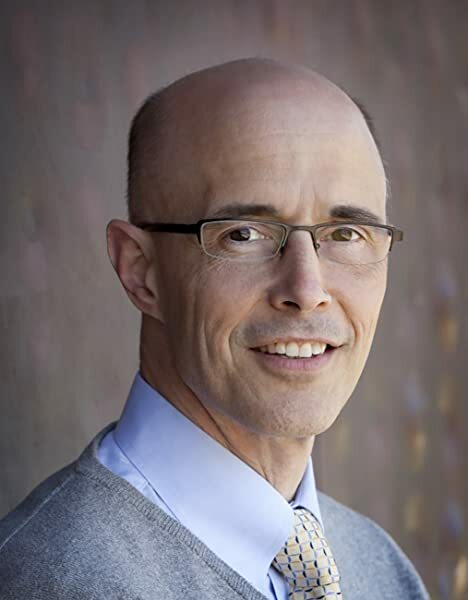 Psychiatrist Jim Tucker has been carrying on the tesearch first initiated by his colleague Ian Stephenson. I understand Stevenson's work on childhood memories of previous lives was exhaustive and many, many pages long. This book, presenting some of the most compelling cases on record, is succinctly written as well as accessible to the lay reader. There are children whose birthmarks reflect the violent way they died in previous lives, others whose special interests and phobias likewise mirror what haven't to them in their earliest incarnations. I find that scientific approach hugely refreshing, as there is none of the moralizing and evangelizing on karma and so forth that you might get from Believers. In fact, the only 'karma' Tucker recognises is that trauma of any kind needs to be processed before the individual experiencing this can move on. In this spirit Tucker does point out that it makes best sense to move on from past lives too. It makes no sense to retain a past German identity for example where there is the need to adapt to a new cultural identity in a new lifetime, or to cling to a former parent if in that lifetime the parent had not wanted the child in that lifetime. Tucker also dies not preclude the idea that each new lifetime does offer a soul more time in which to learn from experience a d hopefully become a better person. Tucker also points out that there is such a thing as scientific fundamentalism too. Both he and Stephenson have I believe been very brave in publishing research that may well still fly in the face of many basic assumptions about the nature of life and consciousness. 4.0 out of 5 starsHave We Had Past Lives? Jim Tucker documents past earthly lives remembered by very young children, ages 2-7 years old. His team visits each child and researches the “past personality” of the child, often confirming such stated details as names of the child’s former self and past family members, the town and home of residence, and manner of death. So far, the team has compiled 2500 cases, from across the world. This is commonly called reincarnation, where a soul or consciousness survives physical death, then later, enters the mind of an emerging baby from the womb, and takes on another physical body. Of course, this concept, or belief, is not accepted by the Abraham religions (Christianity, Islam, and Judaism), whose members comprise 74% of Americans and 55% of the world. Therefore, the University of Virginia and Tucker’s team are certainly brave, breaking new ground, attempting to prove that this core belief of Hinduism and Buddhism, representing about 21% of the world’s population, could be factual. Also, most spiritual organizations, psychics, and followers of the paranormal believe in reincarnation. Birthmarks fascinated Tucker. This area of investigation covered many cases, especially in India and Sri Lanka where parents accept children’s comments about past lives. He found that a child’s birthmarks were often the result of the sudden death of the last personality. Since “the median time between the death of the previous personality and the birth of the subject is only 15-16 months,” a child’s recitation of a past life to the team could be easily verified since often the family residence of the previous personality is relatively close to the subject child. In the case of Purnima Ekanayake, a Sri Lankan girl, her body at birth revealed “colored birthmarks over the left side of her chest and lower ribs.” When four years old she recognized a temple on television, saying that in her recent past life she was a man living close to that temple. He had made incense sticks in his in-laws business, sold them via bicycle, and was killed in an accident with a big vehicle. The father of Purnima asked a friend, who planned to travel to the temple’s location on business, to check his daughter’s statements. While interviewing local incense makers, he found one where the brother-in-law of the owner had been killed by a bus while taking incense sticks to market on his bicycle two years before Purnima was born. Later, Purnima visited her previous family, correctly identifying her former mother and wife. The previous personality’s autopsy report documented fractured ribs on the left, a ruptured spleen, and abrasions running diagonally from the right shoulder to the left lower abdomen. 1.0 out of 5 starsBooooring!! Booooring. I wanted to hear the stories of the children but this guy kept analysing things. You'll hear more of his break down of the stories then the actual children past live stories. And, it get to the point where it sounds like he's repeating the same stories ber n over n over.